There are now three places to upload documents, depending on the purpose. You will now get a message saying "Upload Successful"
You should enter a description for the document, select the document type (only Photo is an option at the moment), press the button which opens a pop-up where you select the file on your own computer and then press the upload button. 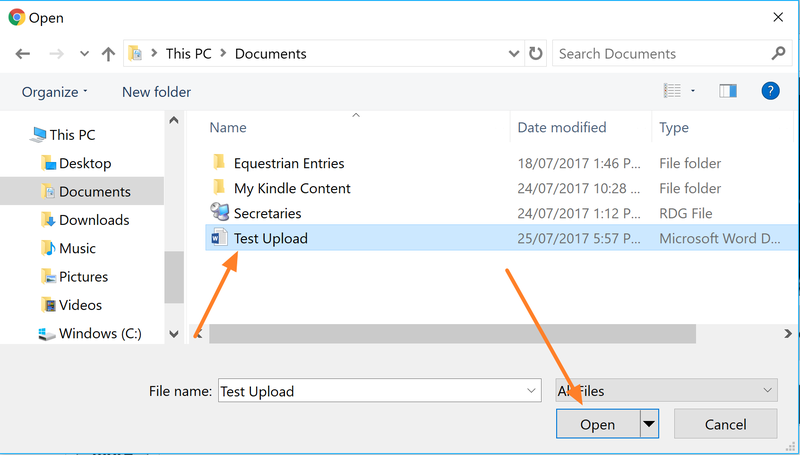 You will now get a message saying "Upload Successful" and you should see the new document on your list of uploaded documents. 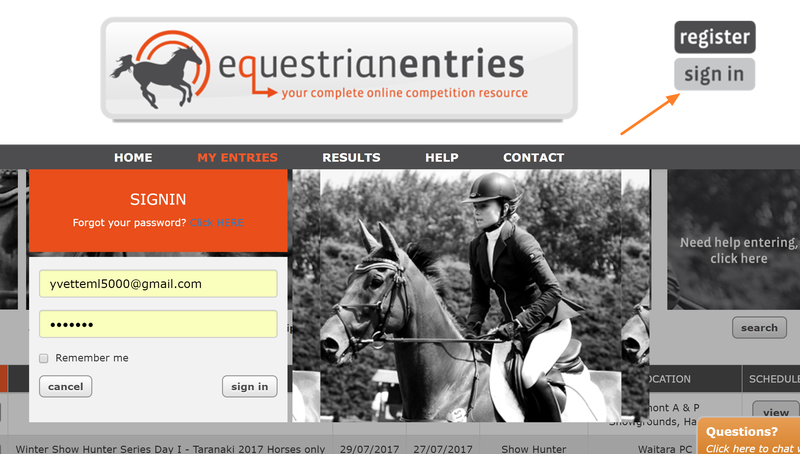 Scroll down until you see your horses. 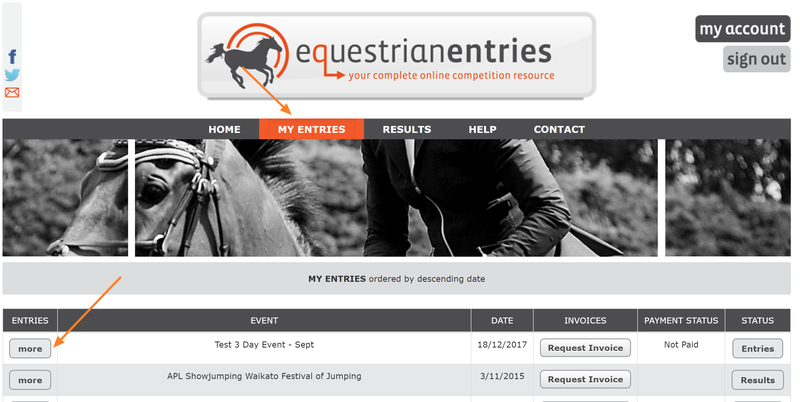 You now get a pop-up where you can upload a document that is stored against this horse for all future shows. You will get a confirmation if the upload is successful and the new upload will show in the list of uploaded documents. Posted by: Yvette Lawson - Tue, Jul 25, 2017 at 5:44 AM. This article has been viewed 2066 times.